Here are some snapshots from the presentation I think FT'ers would appreciate. Some discussion of the revenue side, staffing, the VISA card, and partner accruals. Thanks for sharing and excerpting. 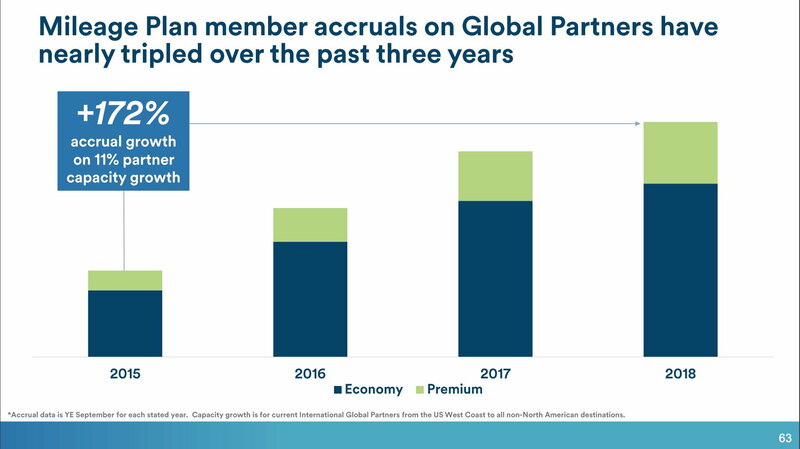 Wondering how 2019 mileage accrual for partners in premium cabin will look, given the Cathay fares! I'm guessing these are the short hops such as SEA-PDX. SFO-LAX is often $179 in F more than three weeks out. Indeed. Which is why "average F fare" is a rather meaningless metric - it's a much better indicator of average stage length of revenue F tickets compared to premium cabin yields. Did they report the PRASM, both current and projected? Break out the PRASM by cabin? Identify particularly high-profit flights? Or is that all too proprietary to share? Re: PRASM - the presentation was a little cagey about this. And it shows in the transcript above where analysts ask about RASM. The presentation suggests RASM for 4Q at 3-5%. But the analysts pushed back a bit suggesting that 2% load capacity growth should show more growth. 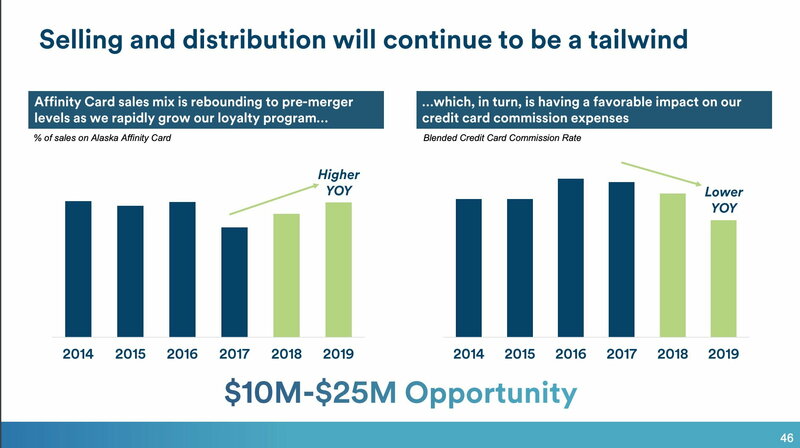 They definitely do not breakout by segment - its aggregated across all the revenue streams to get to a system level number. Another element they are clearly still figuring out is the cost side of things, and cross-fleeting is a large part of this. The flight attendants can be cross-fleeted, but not pilots. 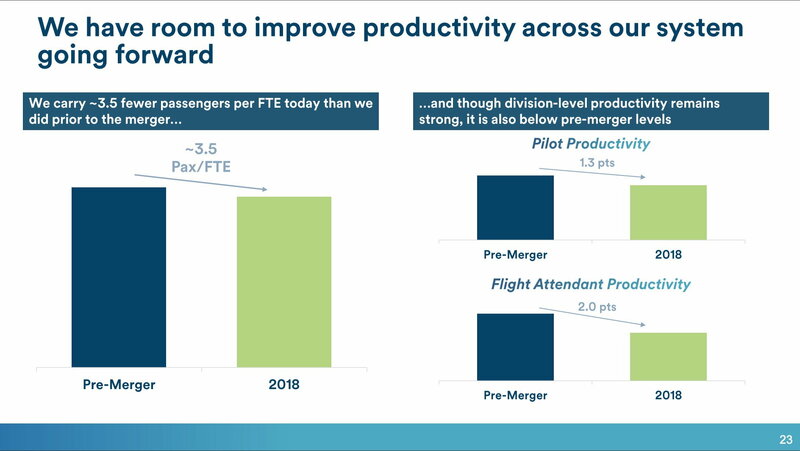 So they productivity drags from the merger are still there and probably won't get back to pre-merger based on the costs of pilot productivity. It is not even an indicator or average state length as they don't define how they are calculating the average. Is a $50 fee to upgrade at the gate counted in the average? 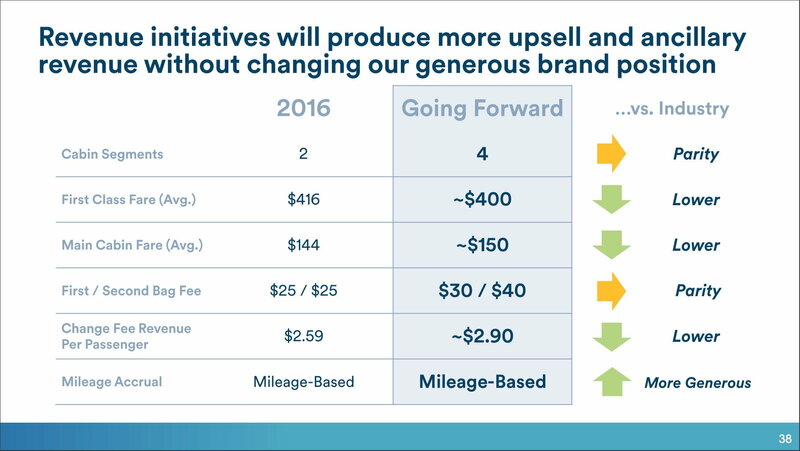 Would the coach portion of the fare be added to the $50 to make it look higher? If 15 people are getting free upgrades and 1 person pays $179 for F, the average is actually only $11.19 in extra revenue per F seat that the F cabin on that flight generated. There are numerous ways to make it look better or worse to get whatever result you like. AS is also not selling $10,000 one way international flights like the legacies do so if AS had the same average as competitors, their stock price would be much higher that it has ever been. The cross fleet issue is "one" reason that AS went to an all 737 fleet some time ago (there are other reasons such as maintenance, etc.) as MD-90 pilots and 737 pilots did not intermingle and that was a problem if you had to switch crews at a non-hub city.. It begs the question of whether or not Alaska will be looking at uniforming the fleet once again. If so, it will take some time. Yes I think AS would like to get back to a single fleet type. But this will take time, as additional frames need to be acquired, plus more pilot training. We'll see how the 737-MAX performs for AS once it's on property. I’d expect they will get rid of A319s and A320s as their leases expire, but that will take some years. The A321NEOs are an attractive plane for transcons, so it wouldn’t surprise me to see those stay in the fleet, unless it doesn’t perform up to expectations.